Get Awesome Deals In New Samsung Portal In Lazada! On 17 November 2016, Samsung Malaysia officially announced their partnership with Lazada Malaysia to offer Malaysians really awesome online deals on their products. 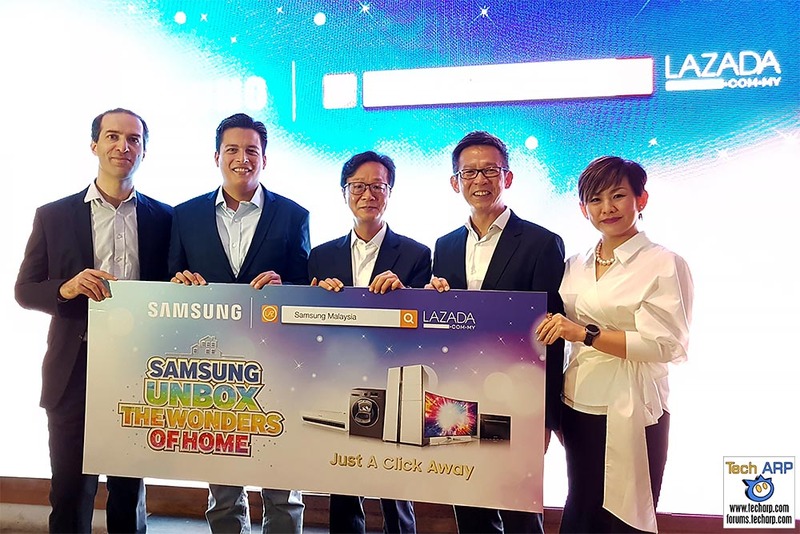 Through the new Samsung portal-in-portal site on Lazada, consumers from every nook and cranny of Malaysia will be able to order any Samsung product that they desire. You will no longer need to brave the tropical heat and massive jams inside and outside of shopping malls. You won’t even need to haggle for the best prices, because Samsung is offering a ton of great deals on the new Samsung portal in Lazada. Best of all, everything will delivered to you free of charge! Shoppers at the new Samsung portal in Lazada can enjoy up to 30% cashback, free gifts and 2-years Samsung warranty for all Samsung consumer electronics, as well as free delivery and 0% instalment plans (for purchases above RM 500). Samsung is also extending their more irresistible deals as part of their Unbox the Wonders of Home promotion. This includes refrigerators, washing machines, air-conditioners, vacuum cleaners and microwave ovens; as well as their home theatre products like SUHD TVs, Blu-ray players and soundbars. You will enjoy bundled free gifts, purchase-with-purchase deals and extended warranties. Sounds awesome, doesn’t it? Well, go check out the new Samsung portal in Lazada! The new Samsung portal in Lazada can be accessed directly on any web browser at http://www.lazada.com.my/samsung-malaysia/. It can also be access through the mySamsung app by clicking on the E-store link. Lazada will geographically tag and catalogue all Samsung products offered by Samsung brand shops to ensure the best fit for your location, automatically entitling you to free and fast delivery of your purchases.